Big thank you to Ms. Q for sharing pictures of the Power Purple Run: Catch me Tank. She reports that this is a size down item with a relaxed fit in the midsection with rubber grippy tape around the inside hem. 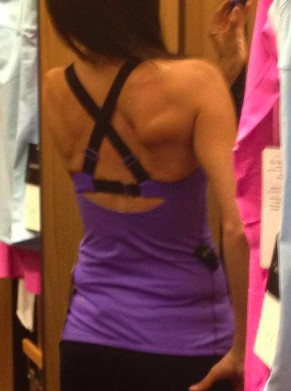 She didn’t get a chance to try on her TTS but said it’s definitely a size down tank for her. Love it!!! "New Tank!! 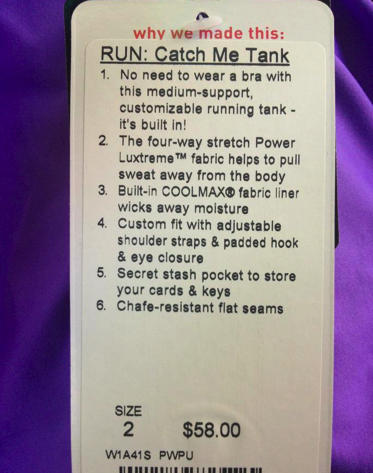 Run: Catch Me Tank"